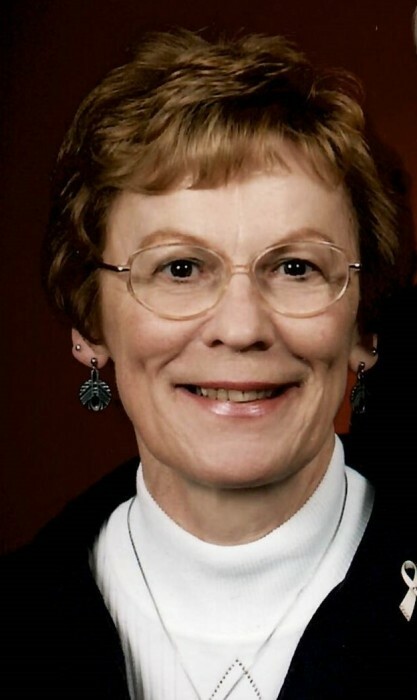 Susanne “Sue” Christine Pergande, 77, of Weston, passed away October 30, 2018 at Aspirus Wausau Hospital. Sue was born August 19, 1941 to Andrew and Emma (Albertson) Erickson in Westbrooke, Minnesota. She married Charles Pergande August 22, 1959 in Merrill, Wisconsin. Family and friends were very important to Sue. She chose this quote and it captures the essence of who she was. “Think of me as living in the hearts of those I touched, for nothing loved is ever lost and I have loved so much"
Susanne is survived by her husband Chuck; son Steven (Linda) Pergande; daughter Cathy (Ron) Lamb; brothers Orea, John and Arlo Erickson; grandchildren Andy Lamb, Christine Pergande, Amanda (Don) Winter, David Pergande, Zach (Trisha) Kubichek, Kyle Kubichek, and Jimmy Lamb; and great-grandchildren Ethan, Braelee, and Karlan. Sue is preceded in death by daughter and son-in-law Carla and Brian Kubichek; brother Derald Erickson and sister Lorna Gorman. A memorial service will be held Saturday, November 3rd at 3 pm at Mount Olive Lutheran Church, 6205 Alderson Street, Weston. Visitation will be from 12 noon until the time of service. Pastors Lance Hoelscher and Ray Connor will preside. Private burial will be held at a later date.